Peter Bane is the author of The Permaculture Handbook: Garden Farming for Town and Country, a distillation of more than 25 years’ experience in the art and science of land management, and published Permaculture Activist magazine from 1990-2015. Familiar with tropical and temperate systems in North America, Hawaii, and the Caribbean, Peter has taught more than 1500 students in 100 courses spread widely across the US, Canada, and as far afield as Chile, Argentina and Trinidad-Tobago, for more than 25 years. In 2009, Peter co-authored a report, “Redefining Prosperity” on prospects and policy recommendations for the city of Bloomington, IN in an energy-constrained future. Its recommendations were adopted by Bloomington Common Council. He holds the Diploma of Permaculture Design variously for teaching, media, site design, trusteeship, and community development from the Permaculture Institute – USA (2014), the British Academy Worknet (2005) and the Permaculture Institute of North America (2016). He helped create Earthaven Ecovillage in Western North Carolina, pioneered suburban farming in Bloomington, Indiana, and is now living in rural Michigan. 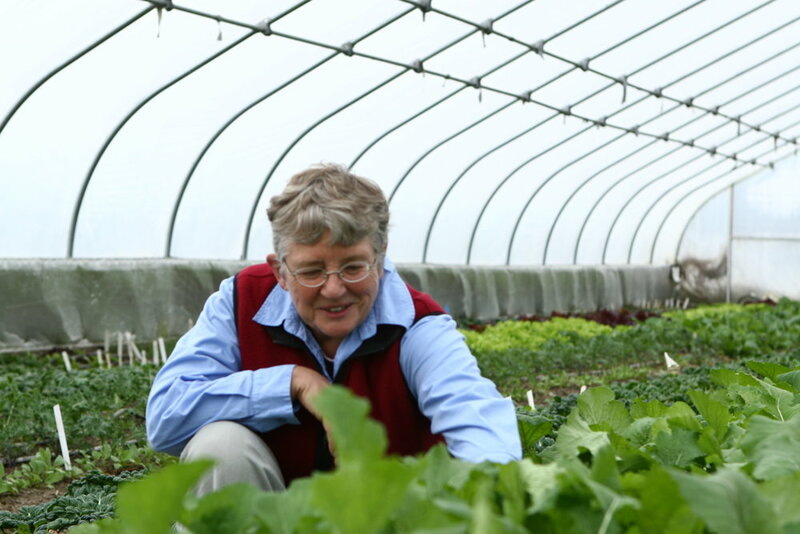 Pam Dawling is the author of two books: Sustainable Market Farming: Intensive Vegetable Production on a Few Acres (2013) and The Year-Round Hoophouse: Polytunnels for All Seasons and Climates (2018). Her second book covers construction of high tunnels and year round vegetable production inside them. Pam has been an avid vegetable grower all her adult life. 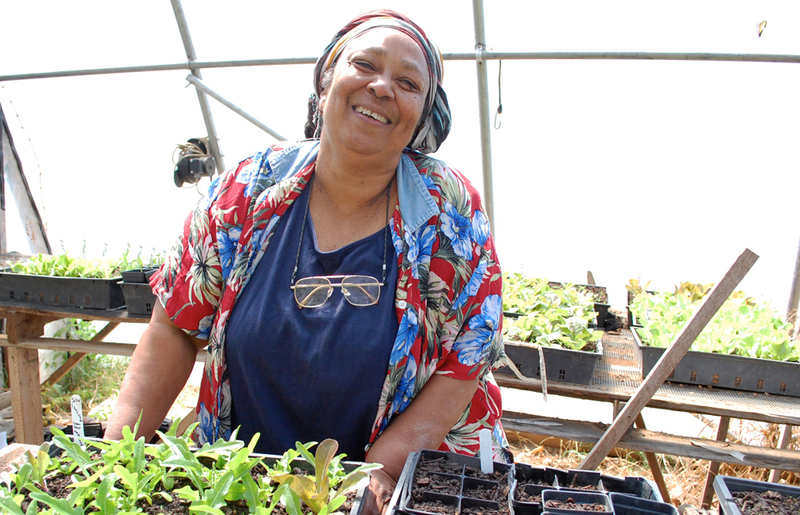 For over 25 years she has been farming and providing training in sustainable vegetable production for community members at Twin Oaks Community in central Virginia, where for 22 years she served as the manager of the three and a half acre vegetable gardens which feed the 100 community members all year. Pam is a contributing editor with Growing for Market magazine, and has written articles for various biological farming publications. She is a popular speaker on growing vegetables sustainably, at around ten conferences each year. She blogs weekly on her website, and monthly on the Mother Earth News Organic Gardening Blog. Pam also does consultancy work for new and beginning farmers. Meredith Leigh has, over the past 17 years, worked as a farmer, butcher, author, cook, and educator, all in pursuit of sustainable food. She focuses on supply chain dynamics and systems thinking geared towards the entire food life cycle. 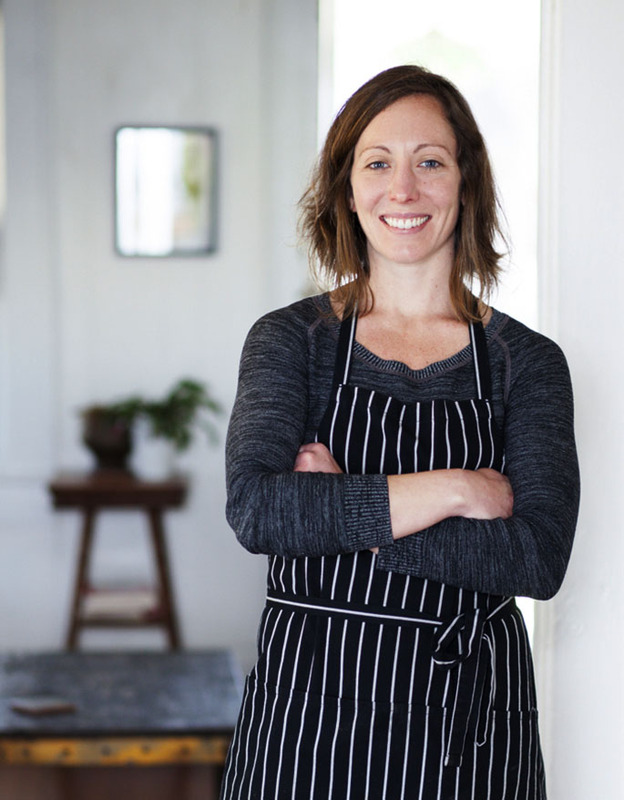 She is the author of The Ethical Meat Handbook: Complete Home Butchery Charcuterie and Cooking for the Conscious Omnivore (2015 3 rd place winner, M.F.K Fisher award) and Pure Charcuterie: The Craft & Poetry of Curing Meat at Home (2017) both of which explore the roles of meat and meat eaters in the food system, both present and future. Her current project focuses on the relative health of the narrative surrounding the future of food, by applying the perspectives of the people behind our food to the business and other structures that define it. Dr. John Todd has been a pioneer in the field of ecological design and engineering for nearly five decades. 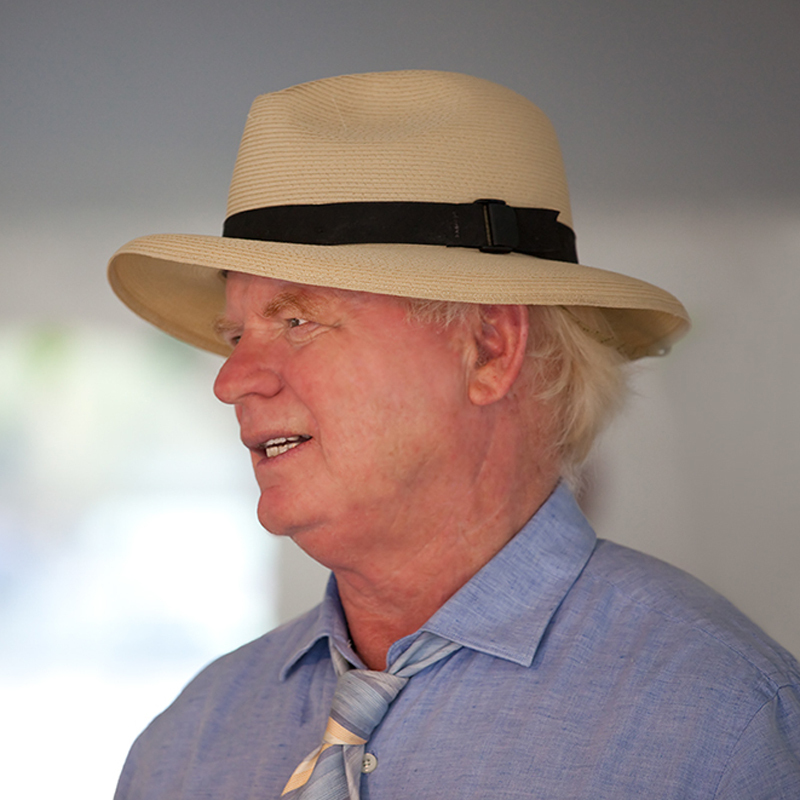 He is the founder and president of John Todd Ecological Design. Dr. Todd has degrees in agriculture, parasitology and tropical medicine from McGill University, Montreal, and a doctorate in fisheries and ethology from the University of Michigan. His numerous honors include the 2008 Buckminster Fuller Award for the best idea/concept to help save the planet/humanity; the Environmental Protection Agency’s Chico Mendes Award and Environment Merit Award; a lifetime achievement award from the New York Open Center; Global Visionary Award from the City of Chicago; and many others. In 2007 he was named one of top 100 visionaries of the 20th century by “Resurgence & Ecologist” magazine. Jonathan Todd is the ecological designer and driving force behind John Todd Ecological Design and was the driving force. For 19 years he oversaw the development and design of many of JTED’s most successful projects. Today Jonathan is located on the west coast and is focused on addressing the most pressing water issues in that region. Ira Wallace is a worker/owner of the cooperatively managed Southern Exposure Seed Exchange which offers over 700 varieties of open-pollinated heirloom and organic seeds selected for flavor and regional adaptability. Southern Exposure helps people keep control of their food supply by supporting sustainable home and market gardening, seed saving, and preserving heirloom varieties. Ira serves on the boards of the Organic Seed Alliance, the Open Source Seed Initiative and the Virginia Association for Biological Farming (VABF). In addition, Ira is a member of Acorn Community which farms over 60 acres of certified organic land in Central Virginia, growing seeds, alliums, hay, and conducting variety trials for Southern Exposure. She is an organizer of the Heritage Harvest Festival at Monticello, a fun, family-friendly event featuring an old-time seed swap, local food, hands-on workshops and demos, and more. She presents at events throughout the southeast. Ira writes about heirloom vegetable varieties for magazines and blogs including Mother Earth News, Fine Gardening and Southern Exposure. She also conducts variety trials for Southern Exposure Seed Exchange as well as researching and documenting the history of varieties offered in the annual catalog. Her book, The Timber Press Guide to Vegetable Gardening in the Southeast, is available online and at booksellers everywhere.